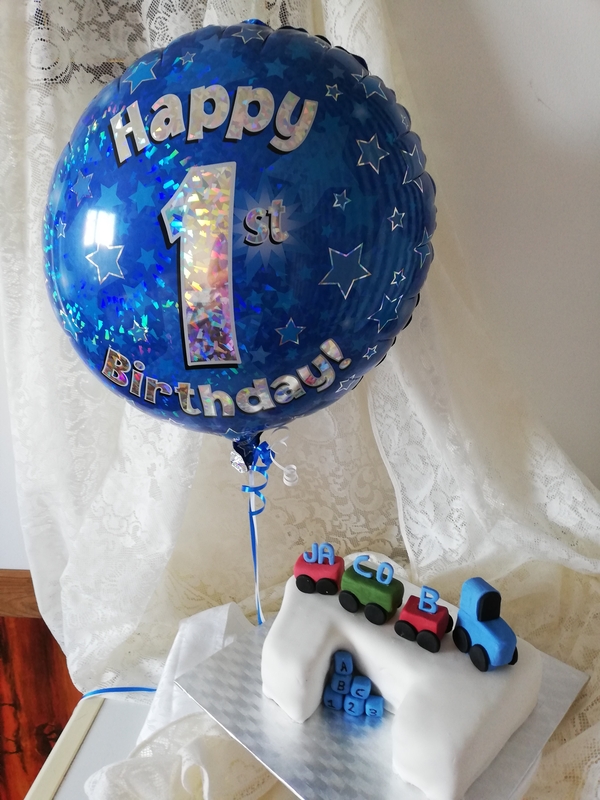 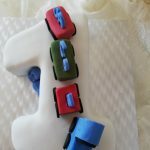 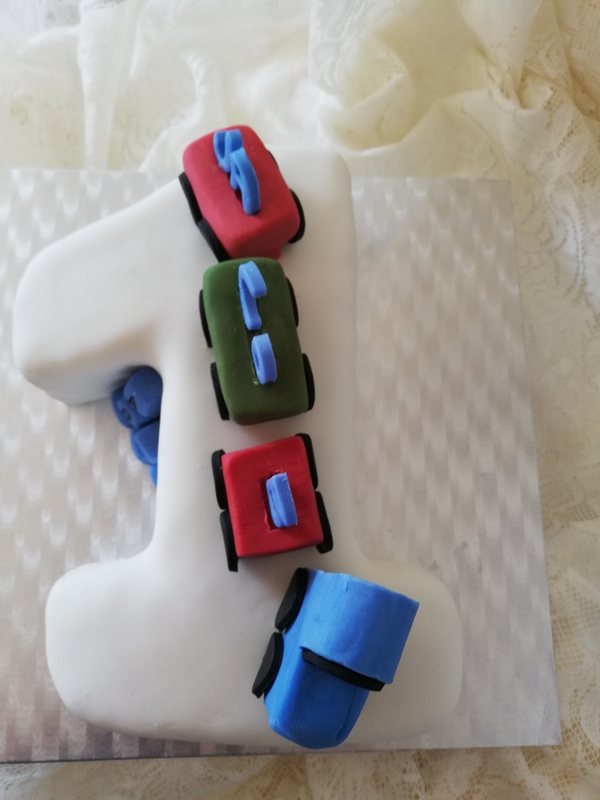 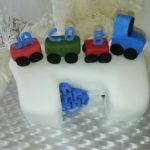 A number 1 shaped cake decorated with a hand crafted fondant train! 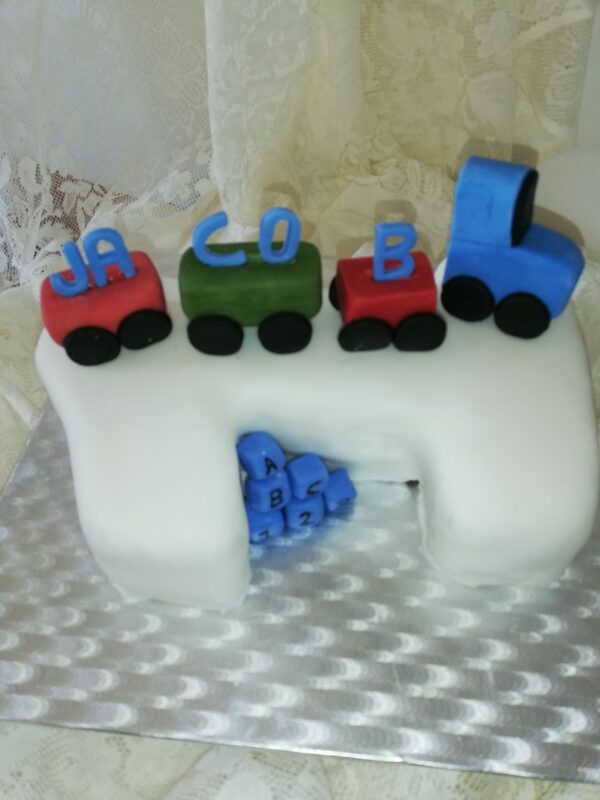 The cake is a vanilla sponge filled with a vanilla buttercream and strawberry jam! 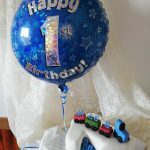 The customer also ordered a matching Happy 1st Birthday balloon which looks great with this cake!